Staff was very helpful. The hotel is located at a walking distance from the bars & restaurants at Pigadia. I was very pleased with the service provided by the lady at reception. She was extremely helpful, flexible and professional. I felt that the feedback I gave her was not a waste of time as she listened and am sure she passed it on to the owner. Perfect location. Roomy and clean room. Breakfast Ok. Friendly staff. Nice view. Beautiful island. 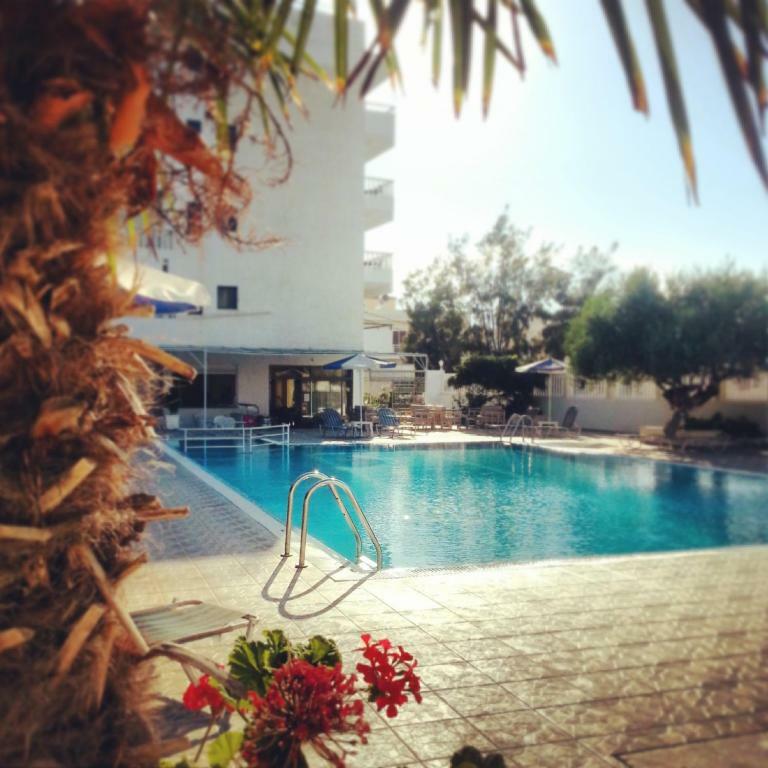 Very friendly and helpful staff, a nice spacious room with a balcony, very close to the center, the bus station and quite close to the local beach. Also there's a nice large swimming-pool. The receptionist and the whole staff was very nice and always welcomed us with a smile. The rooms are large and the view from the balcony is amazing. The Hotel is located right in the city centre. Recommended! Perfect location in the senter of Pigadia. Superb staff. Good hotel! Excellent location nice rooms & Mostly important lovely, kind & welcomimg people, especcialy Evy that explained & gave us all the help & information we needed. Recommended! The staff was so sweet and did everything in their power to make our visit as pleasant as possible. The poolside was wonderful with lots of room and sunbeds. The hotel was close to everything, the beach, restaurants, busses and boats and our room had a nice view over the sea. I would absolutely recomend this hotel. Lock in a great price for Regina Studios & Hotel – rated 8.4 by recent guests! Regina Studios & Hotel This rating is a reflection of how the property compares to the industry standard when it comes to price, facilities and services available. It's based on a self-evaluation by the property. Use this rating to help choose your stay! One of our best sellers in Karpathos! 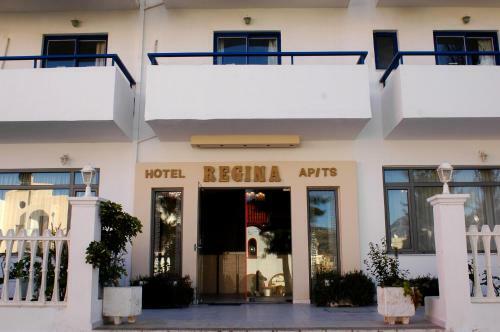 Just a short walk from the center of town of Karpathos, in Pigadia, is located the newly renovated Regina Studios & Hotel. Guests are facilitated in the hotel’s 16 studios and 12 2-room apartments, all with balcony with great views of the sea or the pool. Each fully equipped unit has a kitchen area with refrigerator. At the hotel’s swimming pool guests can enjoy a swim, relax on the complimentary lounge chairs while children can safely swim at the children’s pool. 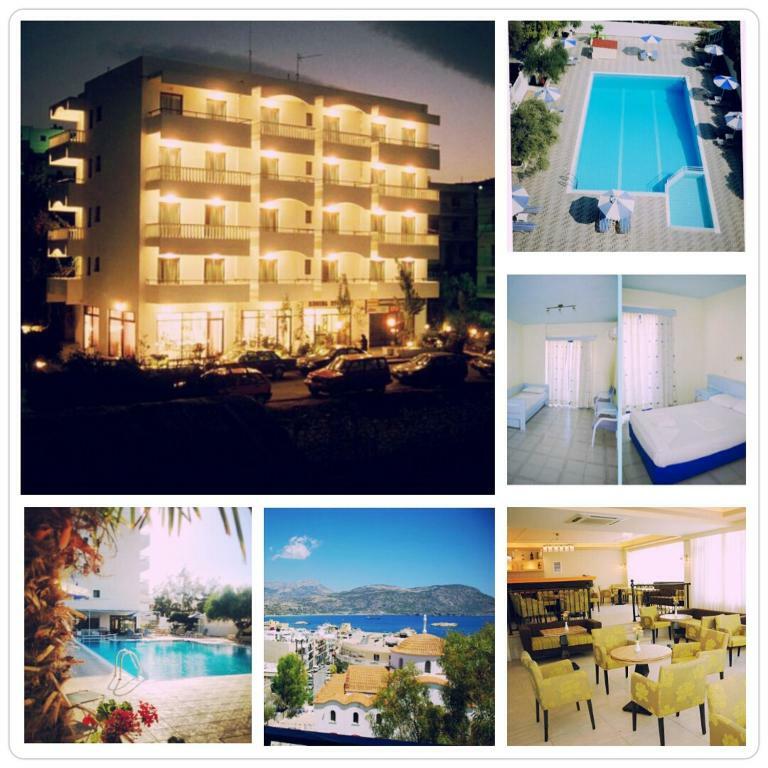 뀐 Located in the top-rated area in Karpathos, this property has an excellent location score of 9.0! When would you like to stay at Regina Studios & Hotel? Studios have the capacity to accommodate 1 extra person in extra bed, subject to extra bed fees. These spacious 2-room apartments can accommodate up to 4 adults. Το Regina Studios & Hotel βρίσκεται στα Πηγάδια, πολύ κοντά στο κέντρο της πόλης της Καρπάθου και ταυτόχρονα πολύ κοντά στις παραλίες . Τόσο το κέντρο όσο και οι παραλίες δεν απέχουν περισσότερο από 3-5 λεπτά με τα πόδια . Οι επισκέπτες εξυπηρετούνται από τα 16 στούντιο (μονόχωρα δωμάτια με μπάνιο) και τα 12 διαμερίσματα 2 ξεχωριστών δωματίων με μπάνιο , του ξενοδοχείου , όλα με μπαλκόνι με εκπληκτική θέα στη θάλασσα ή στην πισίνα. Όλες οι πλήρως εξοπλισμένες μονάδες διαθέτουν κουζίνα με ψυγείο. Στην πισίνα του ξενοδοχείου (μεγάλων διαστάσεων) οι επισκέπτες μπορούν να απολαύσουν κολύμπι ή να χαλαρώσουν στις ξαπλώστρες και τις ομπρέλες, ενώ τα παιδιά μπορούν να κολυμπήσουν με ασφάλεια στην παιδική πισίνα. Τόσο το κέντρο όσο και οι παραλίες δεν απέχουν περισσότερο από 3-5 λεπτά με τα πόδια. Πολύ κοντά στη πόλη και στο παραλιακό δρόμου του νησιού όπου βρίσκονται όλα τα εστιατόρια και οι καφετέριες της πόλης καθώς και η τουριστική αγορά με αξεσουάρ και αναμνηστικά αντικείμενα. House Rules Regina Studios & Hotel takes special requests – add in the next step! One child from 2 to 12 years is charged EUR 8 per night in an extra bed. Debit card Regina Studios &amp; Hotel accepts these cards and reserves the right to temporarily hold an amount prior to arrival. Regina Studios & Hotel accepts these cards and reserves the right to temporarily hold an amount prior to arrival. Please note that the pool operates from 01/05 until 31/09. Issues with the shower and cleanliness of the bed which do not reflect any lack of professionalism of the maids but the hotel management. The bathroom facilities, quite poor wi-fi connection. Hotel is a little tired and in need of some general maintenance but nothing to spoil our stay. The staff were just lovely and couldn't have been more helpful. They fixed a small problem with the a-c immediately. Glorious pool! Where do I start ... From having the owner come into the room without knocking while I was unclothed - not apologising (and having my husbands demand an apology) to having a toilet smell permeating the room and only being offered a air spray to fix the issue . Both aircon remotes didn’t have batteries , tv that had little or no reception. Toilet base leaked . Shower curtain too short and leaked water . Toiletries only provided on day 1. Towels only changed every two days . No towels provided for pool and we were told we had to buy them. Bathroom dangerous and no mop provided . Upon check in , we were pressured to use their car rental company . We used our own.no water pressure and hot water took ages to come out. Our taxi driver warned us . We should have listened to him. This is not a 8.8 rated property . Hotel is in great location and our room had a wonderful view of the whole town and the bay beyond. Staff did everything they could to ensure we had s comfortable and enjoyable stay, even collecting us from the port at short notice. A happy family-friendly hotel. Nothing, it's not as close to harbour as some places, but close to beach, bus station bakery, supermarket so great location.